Agra is the most sought after holiday destination in India. This third biggest city in Uttar Pradesh & the entry point of the "Heritage Arc", which is visited by large number of tourists coming from all around the globe. Agra exhibits the rich history of the Mughal period and houses some of the best monuments in the world. The magnificent Taj Mahal is undoubtedly the prime reason for visiting Agra. But, the Agra Experience doesn't end with the visit of the Taj Mahal. Sanskriti Vacations is proud in taking you to experience the magic of "Agra beyond Taj" as this is where you actually begins to unfold the history, culture & tradition in reality. 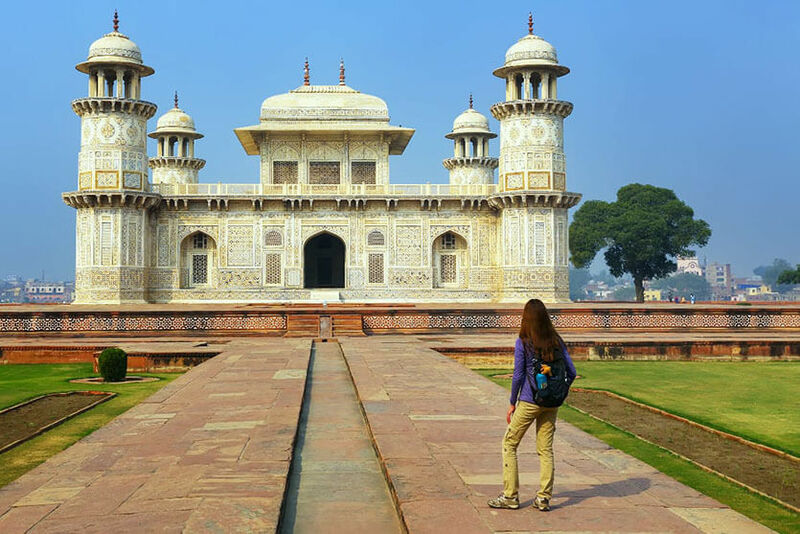 The erstwhile Mughal capital of Agra, houses some of the best monuments to explore such as Fatehpur Sikri, Agra Fort, Chini-ka-Rauza, Jama Masjid, Itimad-ud-Daulah's Tomb and Akbar's Mausoleum. Dayal Bagh & Soami Bagh are centres of the Radha Swami faith, whereas Ram Bagh is the Persian styled Mughal garden of Agra from Babur's time. The Colonial Agra developed under British rule, still mesmerizes traveller of their by-gone days in India. There were a large number of Churches, Bungalows & Educational Institutions built during Colonial regime in Agra. Taj Mahal is often considered to be the seventh wonder of the world & the monument of eternal love, is perhaps the most beautiful architectural masterpiece on planet earth and hence, is part of everyone's wish list to be visited during one's lifetime. 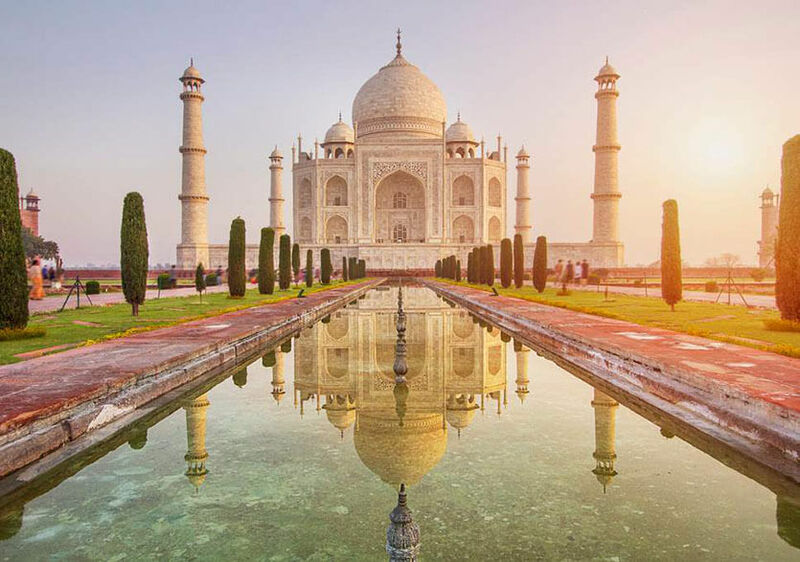 The Taj Mahal was built in honour of the love of the Great Mughal Emperor Shah Jahan's beloved, Mumtaz Mahal in the 17th century on the banks of the river Yamuna in Agra, India by 20,000 workers in 22 years & is described as "A teardrop on the cheek of time". 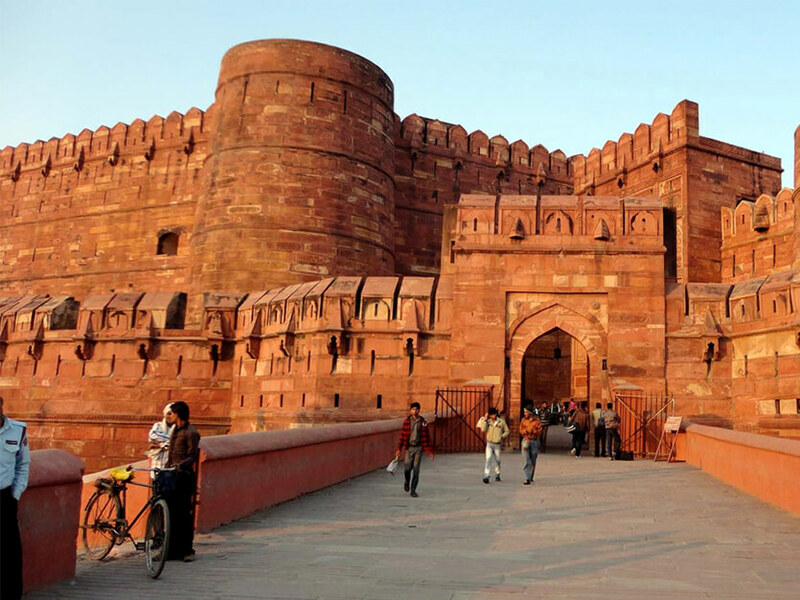 The Agra Fort, another UNESCO World Heritage Site, was originally planned as most impregnable military structure by Akbar but, over a period of time, acquired all the elegance, lavishness and majesty of an imperial palace. The Fort is situated 1 km upstream of the Taj Mahal, on the right bank of the Yamuna. The Agra Fort was built in 1565 by Akbar the Great, when he declared Agra the capital of India. It took eight years to complete and entailed an expenditure of three and a half million rupees. The Fort houses famous Pearl Mosque, Jahangiri Mahal, Diwan-e-Khas, Diwan-e-Am, Moti Masjid, Nagina Masjid, Mussaman Burj and Angoori Bagh. Itimad-Ud-Daulah's Tomb is an exquisite monument of the Persian nobleman Mirza Ghiyas Beg, who was Mumtaz Mahal's grandfather and Emperor Jehangir's father-in-law, who rose to the position of the chief minister. 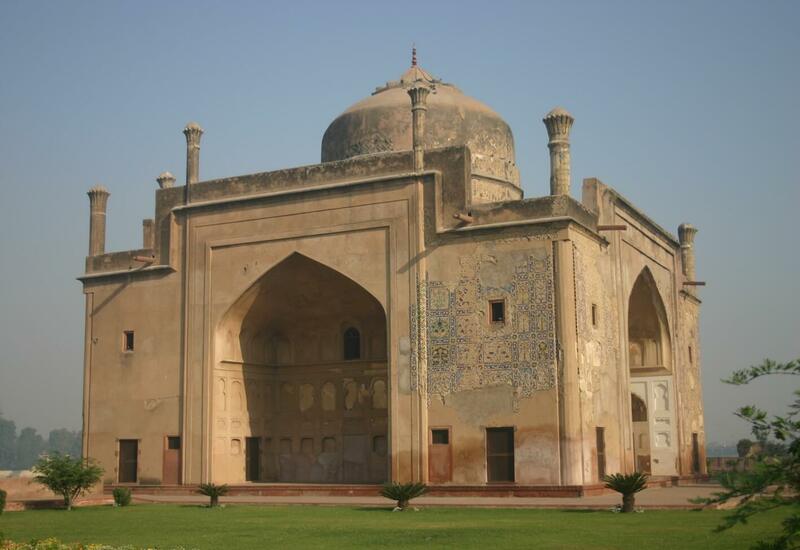 His daughter Nur Jahan, who married Jehangir, built his tomb between 1622-1628 in a style similar to the tomb, she built for Jehangir near Lahore. This was the first mughal structure to be built completely from marble, the first to make extensive use of pietra-dura and the first tomb to be built on the banks of the Yamuna. It is believed that Jahangir remained busy in writing poetry, painting birds and drinking wine whereas, his wife Nur Jahan ruled the empire with the help of her family including her father, brother and uncle. Her father Ghiayas-ud-din Beg was conferred with the title of Itimad-ud-daulah, the Pillar of the Empire. 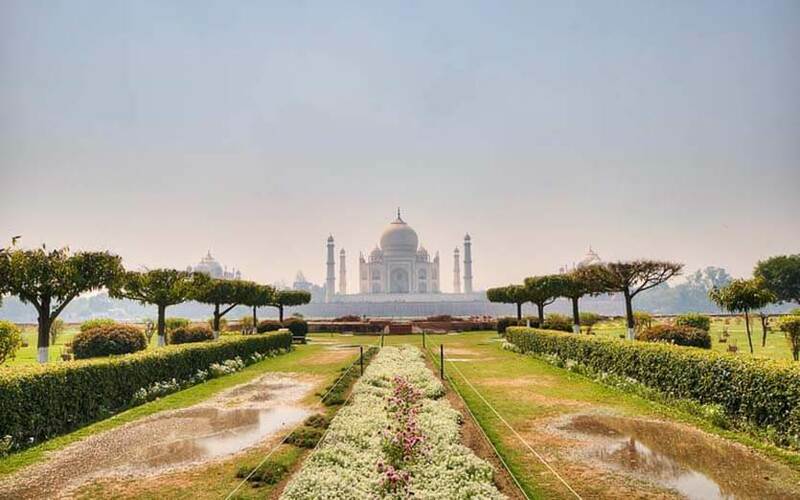 This beautiful place is also known as the MoonLight Garden, for it was an extension of the Taj Mahal Garden which was on the other side of the river. Mehtab Bagh was originally built by the emperor Babur as the last in a series of the 11 parks on the east banks of the river Yamuna. The tourist guest, get to witness the octogonal pool and its pavilion which is always kept in good condition to please the eyes of the viewer. The garden mesmerizes every visitor since the garden in Taj Mahal are perfectly aligned with garden in Mehtab Bagh. Back in the day, the align of the Mehtab Bagh were planted with colossal fragrant flowers. Walking down the garden lane will any traveler feel like a stroll in paradise. This Persian style tomb is made up of glazed tiles and is dedicated to the memory of Afzal Khan, a Persian poet, who entered the service of Mughal Emperor Jahangir, and afterwards became Prime Minister to Shahjahan. He wrote poetry in the name of 'Maula Shukrullah, Shirazi' before he died in Lahore in 1639. His tomb exhibits fine use of glazed tiles, originally an exotic Persian art style, which found itself a home in Agra. The weather and ill-treatment of various kinds have removed a great deal of exquisite enamel colours from the tiles, but enough remains to indicate that how rich and magnificent the effect must have been originally. 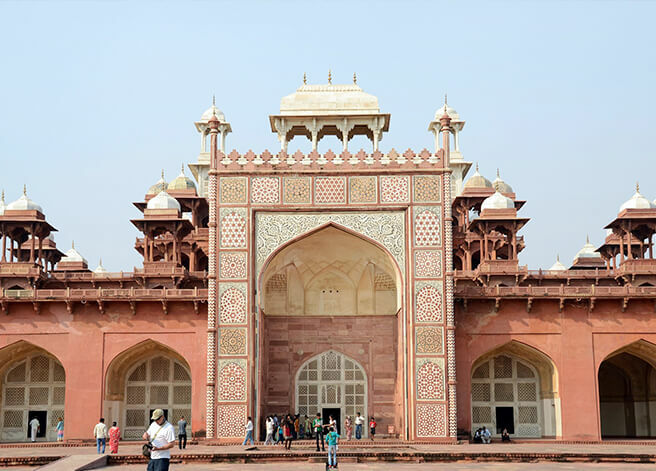 The Erstwhile Mughal Capital of Fatehpur Sikri is situated 26 miles west of Agra and was built by Mughal Emperor Akbar as a thanksgiving to the Sufi Saint Sheikh Salim Chishti, who foretold the birth of his son. Akbar himself was an illiterate but took great interest in literature, architecture, and the arts. He is also reputed to be a very tolerant ruler, and the buildings at Fatehpur Sikri blended both Islamic and Hindu elements in their architectural style. One of the buildings even reflects the new syncretistic faith founded by Akbar, Din-e-ilahi. Fatehpur Sikri is now preserved and conserved as a World Heritage site and is the most beautifully preserved archaeological monument of Mughal Era. The Panch Mahal, Buland Darwaza, Sheikh Salim Chishti's Tomb, Khas Mahal, Deewan-e-Khas, Deewan-e-Aam, Hiran Minar and Anoop Talab are finest specimens of Mughal architecture. 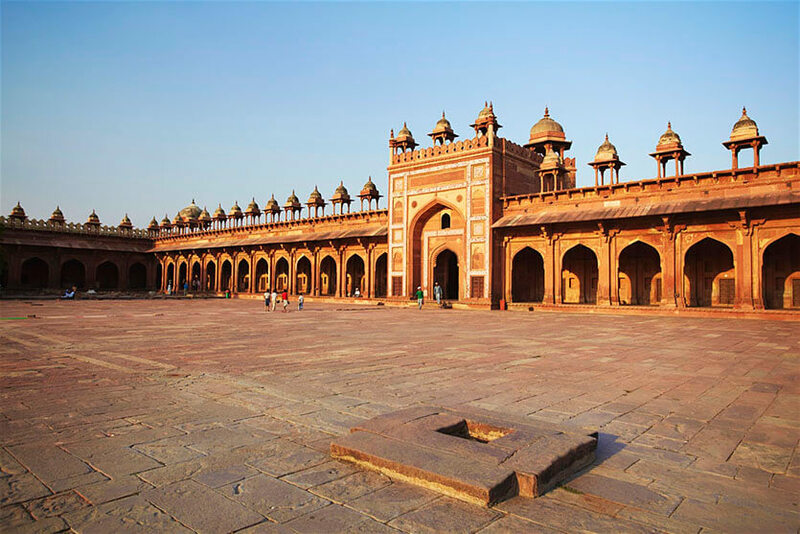 Fatehpur Sikri is often referred as "Poetry in Sand Stone". The city is known for its intricate designs and decorations and is a perfect blend of Muslim and Hindu styles of architecture. This architectural beauty fascinates its visitors and leaves them spellbound. The Tomb of Akbar was designed by the emperor himself and was completed by his son Jahangir after Akbar's death in 1605. It exhibits the transition from sandstone to white marble in Mughal style of architecture. Akbar's tomb is a medley of architectural styles, displaying more interest in experimentation than harmony of design. The sloping dripstones, finials surmounting all the domes, balcony windows and pierced screens are all indigenous Hindu elements of architecture. Based on the pillar and beam principle, the tomb is built like a wedding cake in tiers, using the carved columns and brackets typical of Hindu construction to create the openings on the upper levels. But the pointed arches surrounding the base are Islamic, as are the inlaid geometric designs around the archways. The Wildlife SOS was established in 1995 by a small group of individuals inspired to start a movement and make lasting change to protect and conserve India's natural heritage, forest and wildlife wealth. Agra bear rescue facility is located inside Sur Sarovar Bird Sanctuary, Keetham, Agra. The Sloth Bear had been a target for human exploitation for over 400 years. A nomadic tribe known as the Kalandars began 'dancing' sloth bears for the emperors during the Mughal era and it continued even as the kingdoms in India disappeared, the 'dancing' bear trade transitioned to become entertainment for villagers and tourists who paid to watch the bears jump in agony. Till now Wildlife SOS has been able to rescue and rehabilitate over 620 dancing bears. The Agra Bear Rescue Facility is open for visitors and provides a new Conservation Walkway, the first of its kind in India. The Wildlife SOS also specifically addresses the problem of injured and sick elephants that are forced to work in slums and crowded cities. The aim is to reach out and help the elephants living in urban environments that are wounded, malnourished and dehydrated or those being used illegally and commercially under deprived conditions. 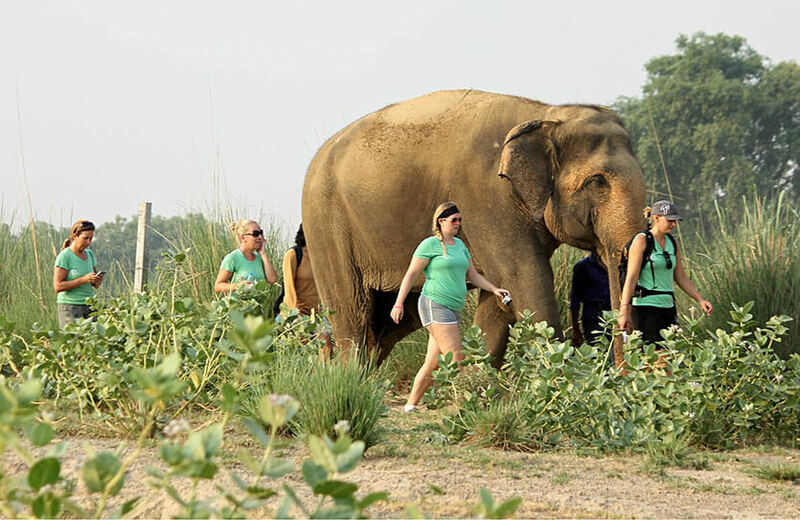 Currently Wildlife SOS offers medical services to these needy elephants and train their handlers, the mahouts on humane treatment and management of these gentle giants. The ancient temple complex at Bateshwar, nearly 75 kms South of Agra, consists of more than a hundred and eight temples dedicated to the Hindu God Shiva, built along the banks of holy river Yamuna. Bateshwar has long been celebrated for its annual cattle fair, which provides a rare and authentic glimpse into the life of rural India. Although the origins of this historic fair are religious, but it has now become an animal fair of international importance because of its great commercial potential as the largest and oldest cattle fair in the country. Every year a large number of horses, camel and cattle are traded in Bateshawar over a period of 15 days of hectic activity. At one time Elephants from Burma, Horses from Kabul and Camels from Peshavar were brought here for trading. So much so that even Mughal Emperors used to procure animals from Bateshwar Fair for their armies. The Fair is completed in three stages. In first stage, Camels, Horses and Donkeys are sold in the second Bulls, Oxen, Cows and other animals are traded, whereas in the third phase religious and cultural fair is celebrated. Now a days, a spectacular Horse show and many kind of rural sport activities are also organized during the fair period. 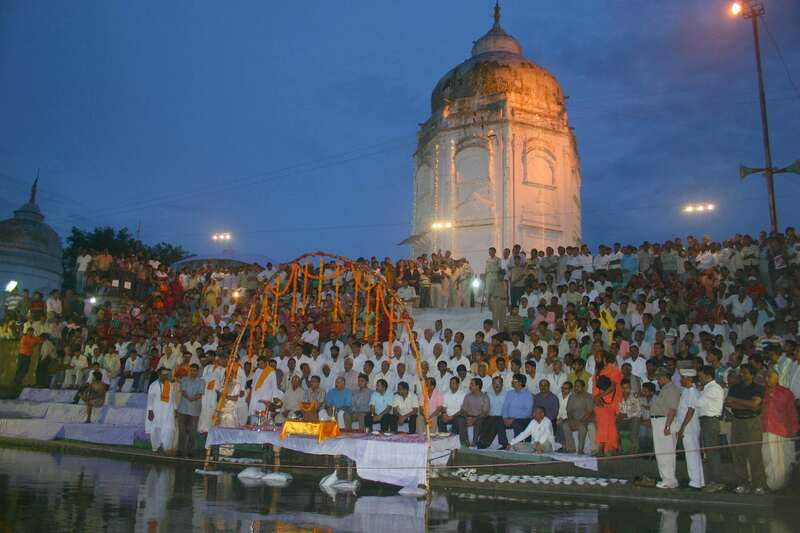 The activity comes to an end when the pilgrims take a holy dip in river Yamuna and assemble to watch the cultural activities on the fair grounds. This year Bateshwar Fair will be celebrated during 13th Nov 2015 - 25th Nov 2015. The Animal Fair dates will be from 07th Nov 2015 - 14th Nov 2015 and the Religious Fair dates will be from 21st Nov 2015 - 27th Nov 2015. The National Chambal Sanctuary was set up in 1979 as a riverine sanctuary along an approximately 425 km length of the Chambal River and its ravines stretching over 2-6 km wide along the river .The Chambal Safari acquaints visitors with a land that has retained its unique landscapes, rugged charm and rare wildlife. The Chambal Valley is a mere 70 kms SE of Agra, nearly an hours' drive, is fast emerging as an exciting new destination, given its unique and unpolluted habitat, abundant wildlife and amazing landscapes, medieval temples and magnificent ancient ruins, animal fairs. The river safari is a unique experience, wherein the boat ride on the calm waters of the Chambal, combined with the dramatic landscape and close-up views of the amazing abundance of wildlife are the highlights of the river safari. 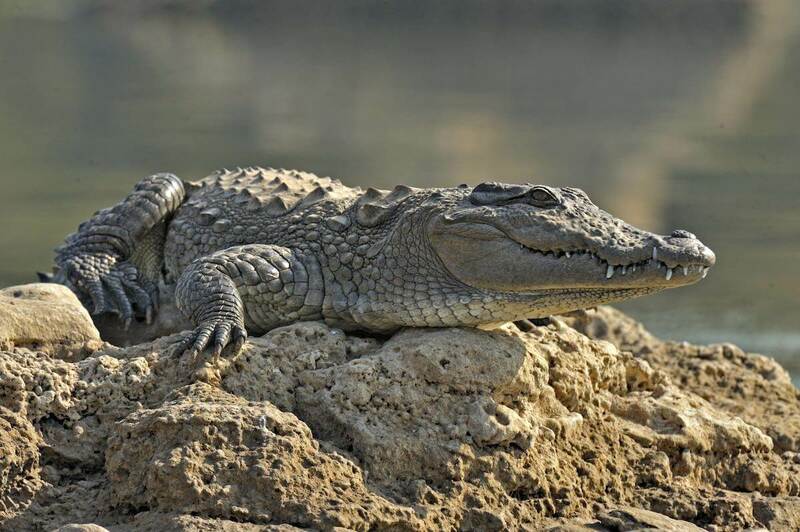 The National Chambal Sanctuary is home to the Gharial, the rare and highly endangered Gangetic Dolphin and Marsh Crocodiles, eight species of Turtles, Smooth Coated Otters, Indian Striped Hyenas, Jungle Cats, Golden Jackals, Indian Wolves and foxes amongst others. Take complete pleasure and be one with nature as you visit the beautiful site to Bharatpur Bird Sanctuary and Deeg Palace from Delhi. A two-three day visit, should be a must for every visitor or tourist guest who come to explore the beauty of the Taj Mahal. The travelers are assured that they will be amazed by the beauty of Asia's finest water bird sanctuary and the historic heritage of the 18th century Deeg Palace. 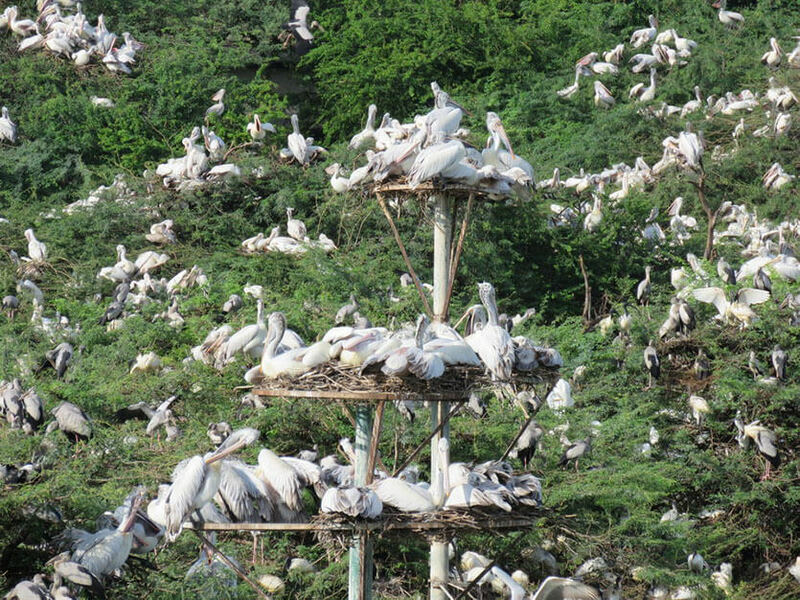 Bharatpur Bird Sanctuary consists of over 380 resident and migrant species. In the sanctuary the visitor gets to witness the breathtaking view of so many variants of magnificent birds species. While on the other hand, Deeg Palace that was built by Jat Rulers in 1772 is a monument of authentic beauty. This Palace consisted of around 800 rooms. Visiting Deeg Palace will be of great exposure to the tourist guest who want to learn about historic monuments and its creation. The Mathura city is a birth place of Lord Krishna. It's a city of Temples which is full of myths and legends narrated in stories and songs of Lord Krishna. There are many temples dedicated to Lord Krishna at Mathura viz. Govind Dev Temple, Dwarkadhish Temple, Keshav Deo Temple, Bankey Bihari Temple and so on. Gokul, Barsana and Goverdhan are other townships associated with the lord. Vrindavan, is an other most important town 15 km from Mathura on the bank of the holy river Yamuna. 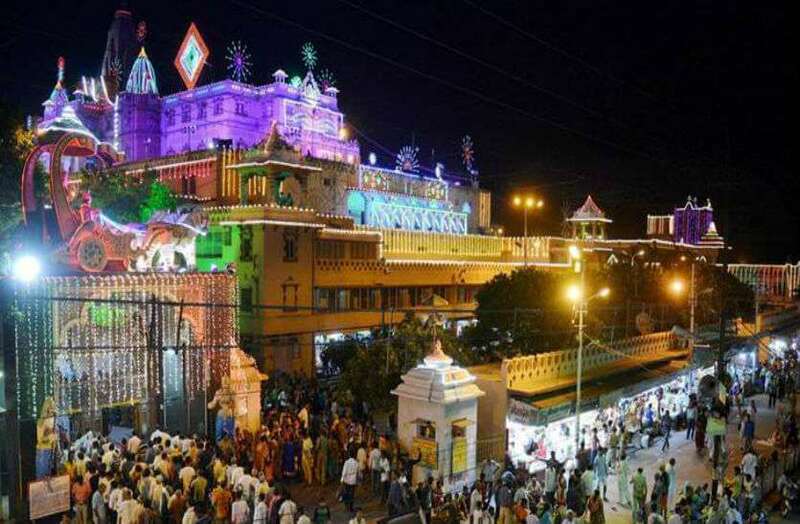 Mathura and Vrindavan attract about 5 million pilgrims every year. The famous temples and places in Vrindavan are Lord Radhavallabh, Lord Banke Bihari, Krishna Balarama, Kesari Ghat, Govindaji, Rangji, Madan Mohan, Radha Damodar, Radha-Gokulnanda, Radha Gopinath, Seva kunj and so on. It is here that Lord Krishna performed many of his leelas or games to enlighten the people about his divinity. It is here that great saints and yogis realized the ultimate, not by going through the rigors of Hatha Yoga but through, Bhakti Yoga or complete surrender in love and not submission, that the great saints became one with the supreme in the form of Lord Krishna and his divine better half Sri Radha.